Gutter cleaning in Victoria bc is one of the most important ongoing maintenance projects for your home. Though you might not realize it, your gutters actually have an important role to play in keeping your house safe from water damage. Clean gutters funnel water off your roof and safely into your perimeter drainage system. This keeps the water away from the foundation, so it doesn’t cause damage to your home. Pacific Windows’ professional gutter cleaning service makes it easy to ensure that this important task is done safely and properly. Our friendly, uniformed technicians will take care of all your gutter cleaning projects safely, efficiently, and effectively. We use the latest gutter cleaning equipment, including high powered vacuums. When needed, we clean gutters by hand and good old fashioned scoops. With these tools, we ensure that all major debris is removed from your gutter so it can flow as it’s meant to. We use before and after pictures to show you exactly what’s going on up there, without having to climb up and look yourself. Also, you can rest assured that we will do the job safely, as our technicians are all properly trained and are provided with safety gear including ladder standoffs and harnesses. Why Use a Gutter Cleaning Service? Everyone knows clean gutters are critical to maintaining your home, however it’s a job most people don’t look forward to. Hauling ladders around your home, scrambling onto the roof and trying to access those hard to reach areas can make gutter cleaning a difficult and dangerous task. 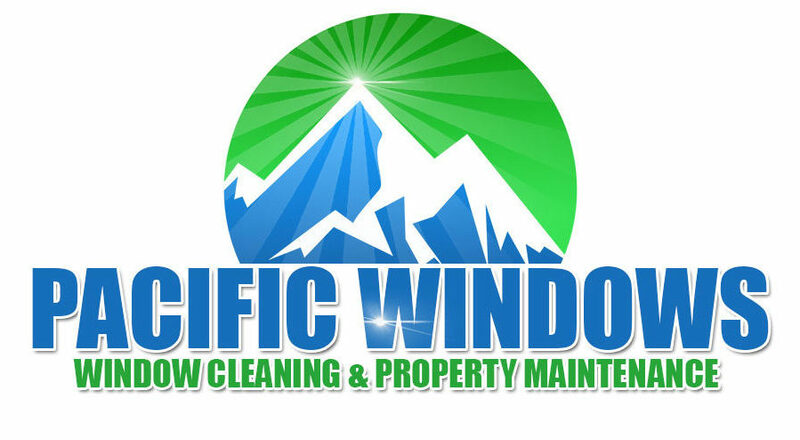 With our state of the art equipment and professional training, Pacific Windows’ friendly, uniformed technicians will take the worry out of cleaning your gutters by doing the job safely and efficiently in just one detailed visit. If you don’t keep up with regular gutter maintenance, you can end up with all sorts of problems. The most common issue is overflowing water, which can seep into your home and cause damage. You could end up with water seeping into your siding, basement, walkways, and foundation. You also risk doing damage to the gutters themselves, as the weight from water and leaves can cause them to sag, and sometimes become detached from the house. Also the wet, swampy environment created by clogged gutters makes it a perfect breeding ground for insects and can attract other pests. That’s definitely a problem you want to avoid! This is why it’s so important to stick to a regular maintenance program. To be effective, your gutters need to be cleaned more than once per year, depending on your climate and the density of trees. The peak times to clean your gutters are in the spring before the heavy rain, and in the fall when the leaves come down. If you stick to this schedule, you’ll minimize the risk of water damage to your home, and ensure that you won’t have to replace your gutters any time soon. Thankfully, Pacific Windows has made it easy for you! By signing up for our annual maintenance program, you will get priority on our schedule for the busy gutter cleaning seasons, and will be able to easily bundle your gutter cleaning service with our other house detailing services. We’ll take care of everything, so you don’t have to. In fact, you won’t even have to be home while we work!